I have had the pleasure to review many things here on Pretty Me Up, but today I am bringing to you something ultra special. I am always on the hunt for the next innovation in Bath and Beauty products. So how does one actually create the Spa-esque atmosphere at home? Most take a bubble bath, maybe light some candles. 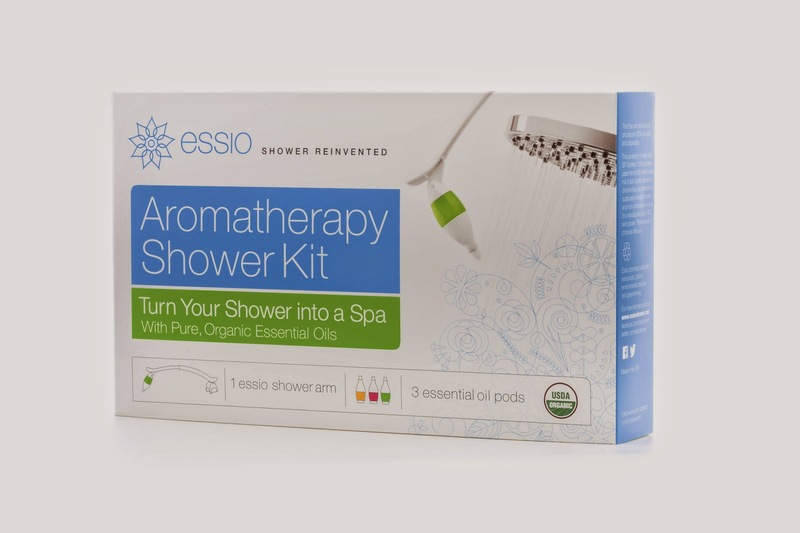 Well thanks to Essio, I can attach the device to my shower head and turn the boring routine into a tranquil, spa-like experience. As a mom, I spend the day making sure my daughter is taken care of. I run errands, do laundry, make her meals for the day, playtime, etc. And now I actually get excited to have some 'Whitney time,' and take the ultra relaxing moment in my shower to breathe in the Aromatherapy oils. And by the way, Essio makes the perfect gift. We all shower, right? I sure hope so! 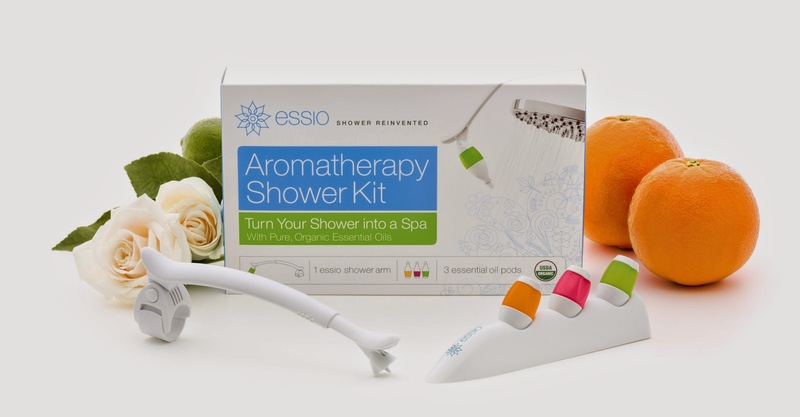 Virtually anyone would enjoy using Essio aromatherapy shower device. It is so easy to use- just Attach it to the Shower Arm, Insert the Pod, Relax and Enjoy. Even better, the Starter Kit is only $44.99! No tools required and sets up in seconds. Go ahead, turn your shower into a spa! Our pod blends are 100% organic, pure and sourced from the finest oils in the world. No harsh chemicals, synthetics or additives are used to make our signature blends. Period. So whether you're a mommy, a businessman, fireman, executive assistant, ANYONE can use this and relax after a long day at work with the UNWIND essental oil. Or if you are sick and not feeling too well, try the BREATHE essential oil to decongest. This is perfect if you feel tense/stressed, maybe have anxiety and need to relax and center yourself. Such an innovative product that is now a necessity for my in-home-spa showering experience.